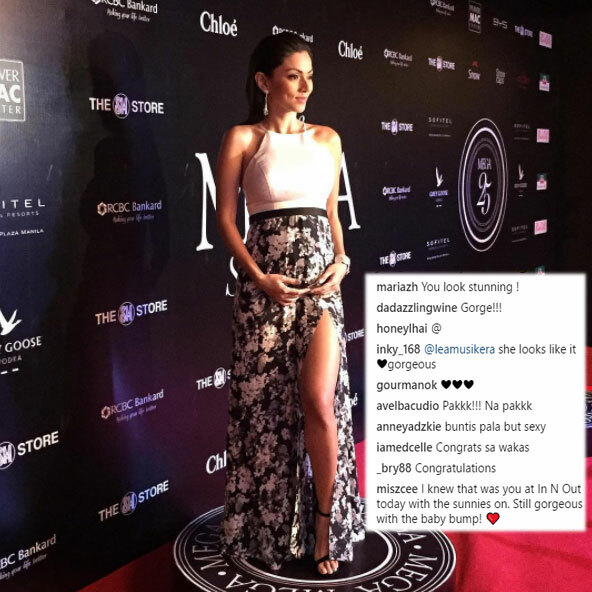 Maricar de Mesa is pregnant; netizens ask, \"Who\'s the father?\"
Maricar de Mesa is pregnant; netizens ask, "Who's the father?" Fans of Maricar de Mesa are both happy and curious about her first pregnancy. Maricar de Mesa is proudly showing off her baby bump on Instagram. In a photo taken at a recent event, Maricar received not only congratulatory messages but compliments as well. Her fans are praising the pregnant actress for being gorgeous. Even showbiz personalities gave their congratulatory messages to Maricar, who is currently based in America. Maricar's recent Instagram posts are also flooded with this curious question: Who is the father of her child? An Instagram user, @lallycdizon, hinted at Maricar's partner on her comment to one of the actress's photo. "Nice bump GF happy for you and J <3," she said. But Maricar remains mum about the identity of the father of her child. PEP.ph (Philippine Entertainment Portal) asked Maricar for an interview, through a private message on her Instagram account this morning, May 11. She has yet to reply to our request. The former game show host married former basketball player Don Allado in December 2006. The couple did not have a child. In her last interview with PEP, Maricar said that she's still waiting for the court decision on their annulment.